We have a winner of the Prisoner of the Mind Graphic Novel Collectors Kit! We have a winner! 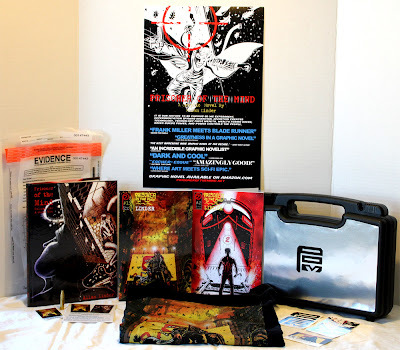 "Congratulations to Demetria from Texas, for winning the Prisoner of the Mind Graphic Novel Collectors Kit!" She was chosen randomly from 22 entries, and her entry was number 12! Prisoner of the Mind launches on 10-10-13 to the world, but Demetria gets it first. Check back here orhttp://www.prisonerofthemind.net/ for more info. A big shout out to all who entered. All 22 entries, were from all over the U.S., Thank you for the great response. If you missed out on this contest, there will be more to come. Visit our Face book page or hit us up on Twitter.